For most of us, the weather is warming up, and the birds are a chirping! Those of you still seeing snow, hang tight, warmer weather is just around the corner! Spring is in the air and with warmer temperatures comes the feeling of breathe and life. The idea that after (barely) surviving a long winter, a vacation is greatly needed. Unfortunately, not all of us have the funds to hop on a jet plane and escape the daily grind (myself included as standby loads are AWFUL around spring break). Because it’s easy to develop a complacency with the everyday routines of our lives, we often forget about the many enjoyable things offered in our comunities. We like to stick to what we know, our comfort zones, but traveling is about experience, change, and growth. As a flight attendant, I’m constantly staying overnight in various cities, and I have the unique advantge of being able to explore towns from a different perspective versus someone with complacent eyes. Humans tend to stick to our comfort zones, but traveling is about experience, change, and growth. For those of you on a budget but in desperate need of a change of scenery, here are four tips for rediscovering what at your hometown has to offer. 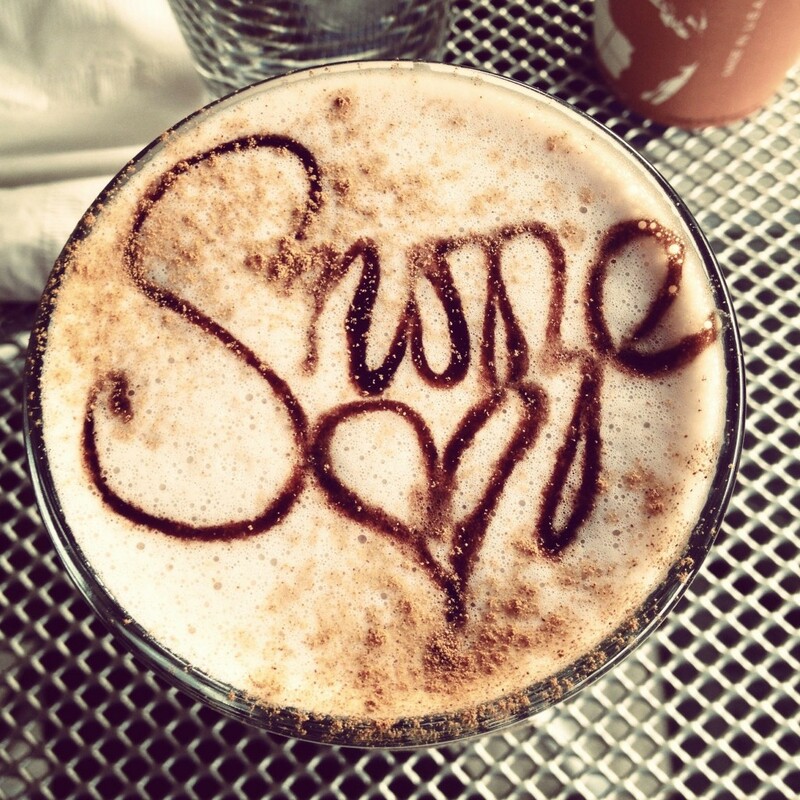 Hot chocolate from arguably one of my favorite restaurants in Denver, CO. Snooze An AM Eatery. As a bonafide American and southerner, I think it’s safe to say that food is an important part of our culture. Knowing the adage that humans are creatures of habit, and judging by how I approach my weekend restaurant choices, it’s safe to say, people generally stick to what they know. Instead of picking your usual Friday or Saturday night gig for dinner, look up local restuarants in your area and give one a try. If you are going for more authentic, avoid the chains and look for local and family owned restaurants. If a lazy Saturday is more your speed, take an afternoon away from the chain coffee shops and venture into a local eatery for some coffee, tea, or paninis. If you are’t a coffee person, try finding a bakery or cupcake shop you had no idea even existed. For those craft beer individuals, see if your hometown hosts any microbreweries and go take a tour. Your tastebuds will thank you. It thrills me to see people seeking more organic and local products in our economy. Pop up shops and boutiques are all the rage right now, and I hope it’s here to stay. Let your exploration and new perspective on your town bring you to shops you would never step into any other time. The list is endless from antique to clothing to hobby stores. While style and fashion may not vary much among department store merchandise, a blouse or sweater from a locally own boutique is not only trendy and authentic, but also limited in quantity giving you the chance to have a one of a kind item. If it’s a beautiful, sunny Saturday, try strolling through the farmer’s market to pick up your produce rather than going to your usual grocery store. Fresh produce is not only more appetizing but many fruits and vegetables can be frozen for use at a later time. After spending some time in NYC, it’s surprising to me I didn’t harbor more boredom growing up in my smaller hometown. What I used to consider “the night life” certainly left a lot to be desired, but as I’m learning, entertainment can take on many different forms. Browse online to find a slew of events happening in your area. These can range from music concerts featuring local artists and songwriters to movies or jazz in the park during summer months. Many cities have movie theatres showing older classic feature films or even drive ins that are a perfect ending to an adventurous day. My Mom and I were walking around Centennial Park in Nashville one evening, and we stumbled upon a live band and a group of people swing dancing. After some investigating we found out it was a weekly event starting with free dance lessons for the first hour and a open dance floor the second. Had we not been wandering around, we never would have found this. One of the most challenging things about discovery and exploration is being motivated to actually do the work of finding new places. For many it might seem like your city doesn’t offer much in the category of outdoor activities, but that is far from the truth. I’ve been on many overnights in some pretty rural cities, but I’ve still been able to do some discovery just by walking or using biking trails that wind their way through these cities. 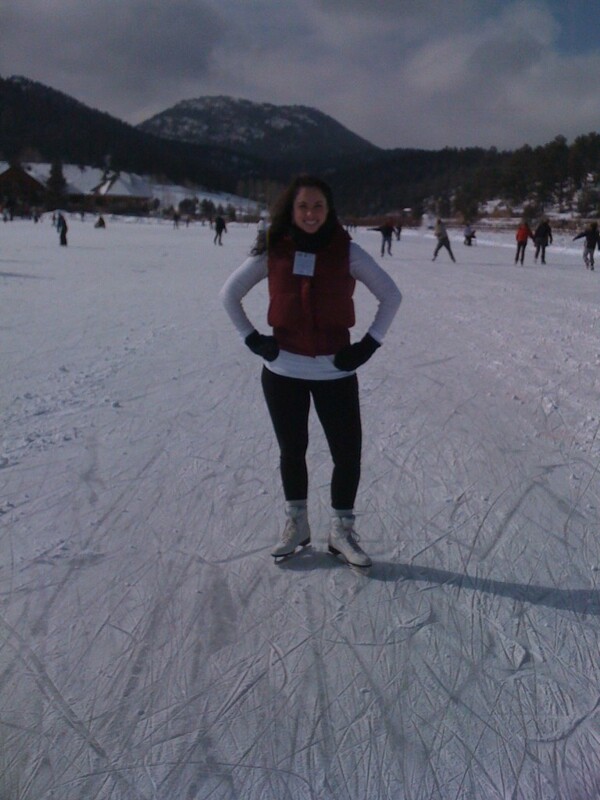 Impromptu Ice Skating Adventure on Evergreen Lake in Evergreen Colorado. you live in a concrete jungle, think again. If you live in a city, go for a walk in a part of town your day to day ritual does not lend time for you to explore. On your excursion, take in the sights. If you find yourself in the country, pack a lunch and find a nice area for a picnic. The places are there just waiting to be found. Just getting outside and moving is excellent for your health as it creates endorphins that help with happiness. Being outside is as simple as hopping in your car and taking a Sunday drive around an area of the map you may not be familiar with. One of the most challenging things about discovery and exploration is being motivated to actually do the work of finding new places. After a long work week, the easier thing to do is lazily lounge around and binge watch the tv shows you may have missed through the week, but that is the type of activity that leads to monotony. Make it a habit to seek out things that interest you within your community, and you’ll find that over time it will help spark your creativity and interests in activities you may have otherwise ignored. For tips on things to do in your area, this is a great place to start, and I often use this as a guide for when I’m overnighting in an unknown city. Now go! Get out there and explore. If you have some time, comment below and let me know what exciting things you discovered (or maybe rediscovered).